Get behind the wheel and experience the thrill of the Jaguar F‑TYPE at Yas Marina Circuit. Book your experience now. 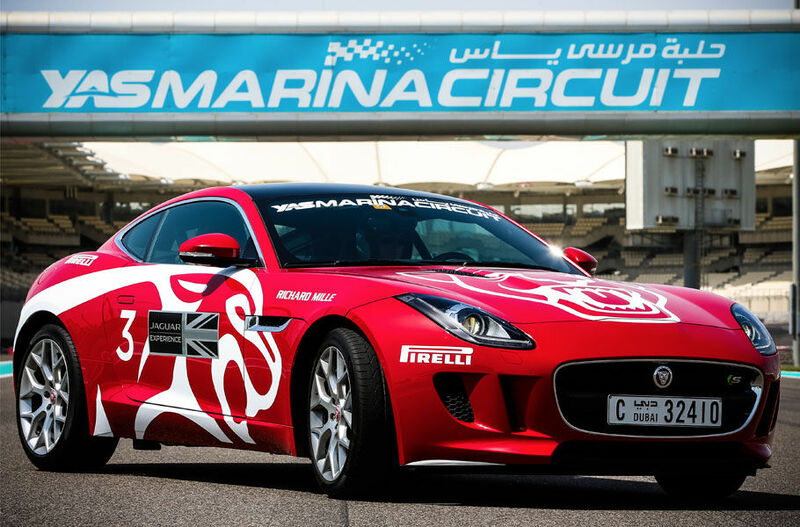 Enjoy a thrilling Jaguar F‑TYPE S Drive Experience at Yas Marina Circuit. Enjoy a unique and thrilling Jaguar Drive Experience with the stunning Jaguar F‑TYPE S Coupé on one of the most artistic, adrenaline fused and performance-driven tracks in the world, the Yas Marina Circuit in Abu Dhabi, United Arab Emirates. Whether you choose to be a passenger or a pilot, the Jaguar Experience will offer you the chance to experience the sophisticated Yas Marina Circuit in Jaguar’s powerful, agile, and utterly distinctive sports car, the award-winning Jaguar F‑TYPE S Coupé, which will take you from 0-100 km/h in 5.5 seconds, and on to a top speed limited at 275 khm/h.